Inspired by Gazzetta dello Sport, here are the performances of all Italian soccer players operating in foreign European leagues (top divisions only). 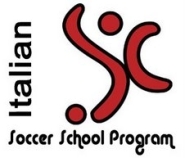 There are currently 32 Italians (yup, number’s gone up with Bellinzona’s promotion in the Swiss league) playing in first divisions abroad, and 12 of them stepped on the field this week-end. The table below includes the team of the player, their opponents for this week, the time in minutes they played, their match contribution in goal(s) or assist(s), and the final score of the game. 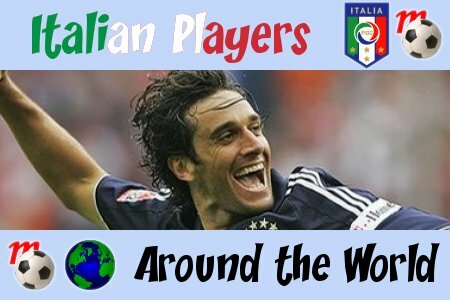 As customary the “Heroes of the Week” section is where we celebrate those who, be it thanks to goals, assists, or amazing saves, have stood out among Italian ex-pats over the week-end. And would you believe it? This week the award takes us to Germany and Spain, one of our most common destination the previous year. Luca Toni is back ladies & gentlemen. His scoring form with the Azzurri has been very disappointing lately (to say the least), but the man can still put in the back of the net in the Bundesliga. Bayern were away to Köln on Saturday, but the unfriendly crowd support certainly did not stop Klismann’s men from shining. Absolute protagonist of the night: the man with the “crazy-hand” celebration. 2 goals (a header, a left-footed finish) and 1 assist for Podolski. What more could Jürgen ask for? In other news, David Di Michele made his season debut with new club West Ham (now under the guidance of Gianfranco Zola), as did Massimo Oddo with Bayern Munich. Also, it’s interesting to note that Swiss club Bellinzona (just promoted to the Swiss top division, the Axpo Super League) contains a boatload of Italian ex-pats. In particular, a certain Andrea Conti who, you’ve guessed it, is one of the sons of Roma legend Bruno Conti (and whose brother Daniele Conti plays for Cagliari). On a sidenote, Bellinzona also own the contract of defender Andrea Russotto (playing on loan at Napoli this season). This entry was posted on Tuesday, September 16th, 2008 at 3:57 pm	and is filed under Italian Players Around the World. You can follow any responses to this entry through the RSS 2.0 feed. Both comments and pings are currently closed. I remember that. What the replay doesn’t show is that the Toro players didn’t like that celebration a whole lot, and Maresca had to keep running to escape their wrath. A Torino supporter sent me a “Fugitive” movie poster a few days later, where Maresca had been superimposed on Harrison Ford’s body. Good times….